Which of these long-range cruisers could be your next car? Looking for an estate car that can cover 1,000 miles on just one tank of diesel? We’ve managed to find a shortlist of our favourite long-range estate cars. The Proclaimers sang about walking 500 miles and then 500 more, but we’re happy to find some cars can manage the same feat. Yes, spacious wagons that boast an overall range of more than 1,000 miles on a single tank** of diesel do exist. Which one of these long-range estate cars could be your next family vehicle? 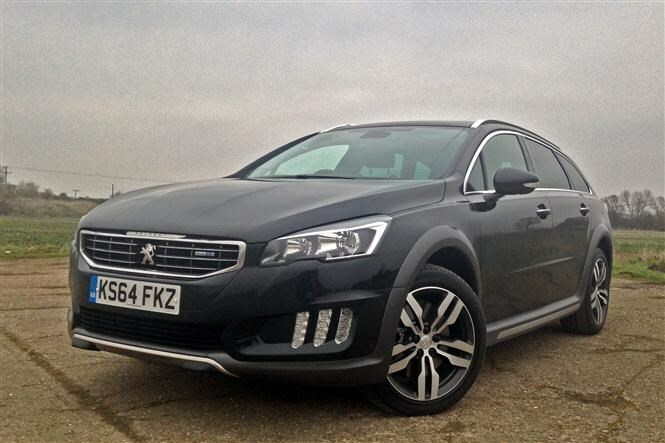 Latest from a strong lineage of large estate cars is the Peugeot 508 SW. It is a modern car, comprising all the values Peugeot’s estate cars are famous for: spaciousness, comfort and frugality. The 508 SW is mechanically conventional, with a modern, efficient 2-litre BlueHDi 150 engine producing 148bhp, mated to a six-speed manual gearbox driving the front wheels. With CO2 emissions of just 98g/km there’s no VED car tax to pay, as you try to eke out the diesel to the claimed 1,146 miles. The Peugeot wafts along with its softly sprung suspension and appetite for devouring motorway miles. It’s less enjoyable on a winding back road where it displays a tendency to wallow around quicker corners. We’ve opted for the middle-ranking Allure specification, which includes many of the niceties and conveniences you’d expect in a family estate; if you want sportier looks there’s always the GT Line derivative for an extra £1,000. With pseudo off-roader looks and a diesel-electric hybrid powertrain, the Peugeot 508 RXH is a bit curious, yet it all combines to offer a colossal theoretical range of 1,146 miles. There’s a small £20 annual VED road tax bill but only from the second year of ownership. 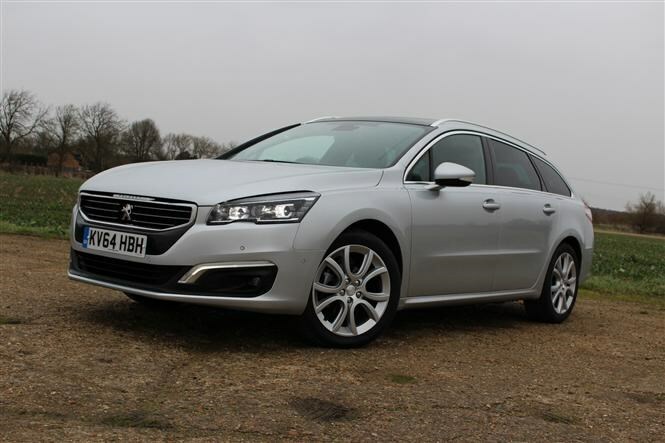 Closely related to the more conventional Peugeot 508 SW estate, the familiar Peugeot lines have been SUV-ised to include wheelarch extensions, a subtle elevation in ride height and a distinctive trio of LED daytime running lights in the outer edges of the front bumper. While we were impressed by the smooth way the diesel engine works in conjunction with the electric motors, we were less enamoured by the firmer ride quality and hesitant ETG automatic gearbox – in reality it’s a manual transmission but with an electric clutch. Despite the batteries being housed under the boot floor there’s a compromise of 112 litres compared to the regular 508 SW’s carrying capacity. 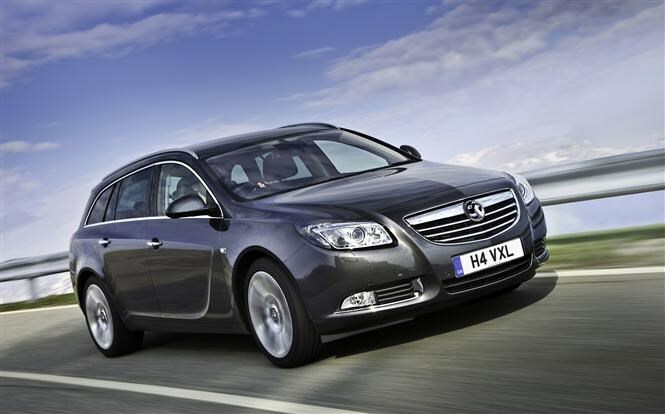 A fixture in company car parks, the curvaceous Vauxhall Insignia Sports Tourer continues to be a popular choice. It’s a sensible choice for private car buyers too. Its combination of space, comfort and frugality win it new friends, while the raft of revisions in 2013 improved it further, with a higher quality interior. In 134bhp 1.6-litre ‘Whisper’ diesel guise, the Insignia is as economical as the Peugeots; but its slightly smaller fuel tank limits its potential range down to 1,114 miles. Placed in VED band B, your annual car tax bill’s capped at £20*. We’re recommending the Insignia Sports Tourer in SRi Nav trim, combining a clear infotainment package with sporty exterior modifications. There’s much more to the voluminous Hyundai i40 Tourer to tempt car buyers than its five-year, 100,000-mile warranty, but its reliability is certainly attractive. So is the amount of equipment you get on the SE Nav Business trim we’ve chosen. While it’s theoretically targeted at company car drivers, with its sat-nav, electrically adjustable and ventilated leather seats, as well as parking sensors front and rear, they’re the kind of luxury touches many drivers enjoy. 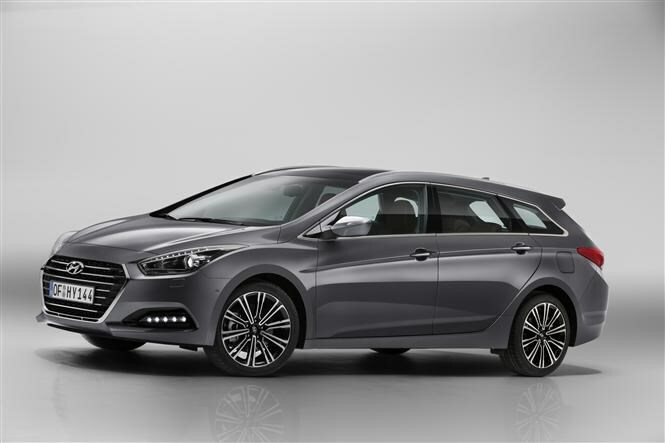 Not only that, at 553 litres with all five seats in use, the i40 Tourer’s boot is the largest in this company. Powered by a 113bhp edition of Hyundai’s 1.7-litre diesel motor, it’s possible to travel 1,036 miles between fill-ups. Car tax falls into VED band B. The latest Ford Mondeo Estate is a more mature, grown-up affair, as befits its place at the top of the Blue Oval’s station wagon hierarchy. Combining the 118bhp of 1.5-litre diesel grunt with luxurious Titanium specification might sound an odd combination, but it ensures that you’re in a luxurious environment while you’re motoring. 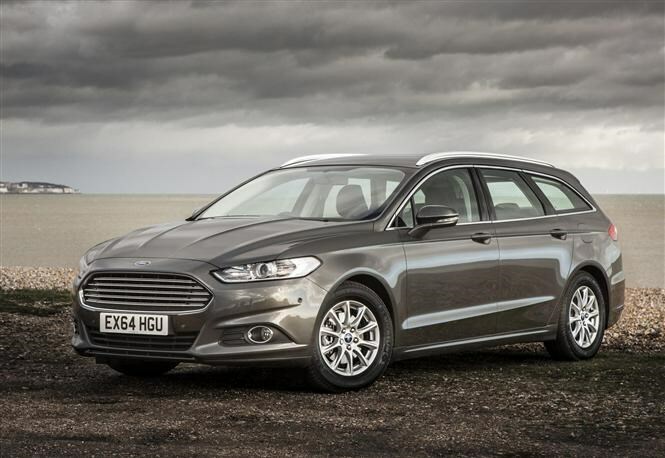 The Mondeo Estate’s low fuel consumption is one of the best here, at a claimed 74.3mpg. If its diesel tank was larger than 62 litres, the Ford would have been placed much higher. As it is, it’s pegged at 1,013 miles. 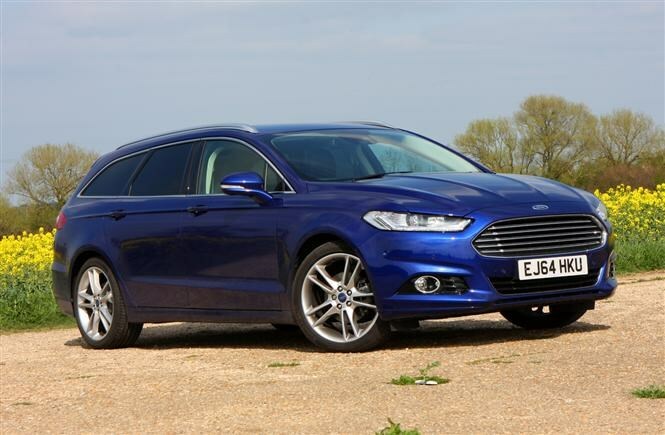 Good to drive, easy to live with and with dealers all over the country, choosing the Mondeo Estate an easy decision when picking a long-range family car. 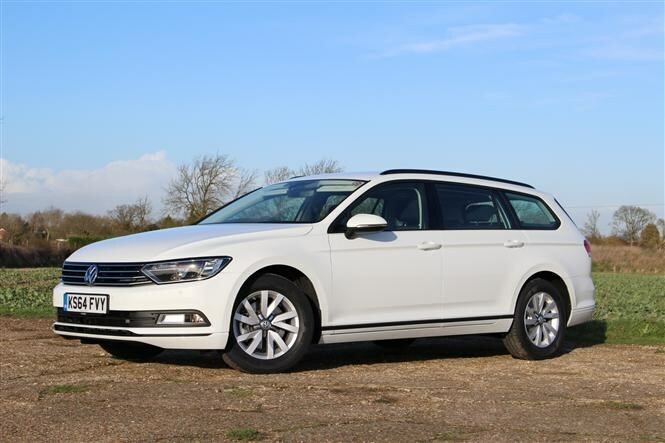 You may be wondering why the Volkswagen Passat Estate’s included in our list, especially when versions equipped with the 118bhp 1.6-litre diesel only have a claimed range of 990 miles – 10 short of our 1,000-mile requirement. However, it’s the best family estate on the market and although it can’t reach 1,000 miles before you need to refuel is due to its comparatively small 59-litre fuel tank. But in all other regards, the Passat Estate’s the one to go for, with the largest boot (up to 1,780 litres with the rear bench folded), a quoted 76.3mpg average fuel consumption and, if you opt for the windcheating BlueMotion version, emissions of just 95g/km. We would spec our VW a little more generously and go for SE Business to include a few luxury touches like sat-nav, internet connectivity and rear privacy glass – just be aware emissions creep up slightly to 107g/km. *All VED car tax costs based on current 2015/16 rates.